Keep the cold at bay and look smart with custom emblazoned sweaters featuring your unique design. 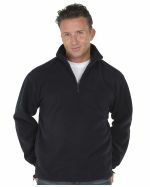 Promotional Items are the experts when it comes to promotional sweaters and jumpers decorated with your logo or slogan. 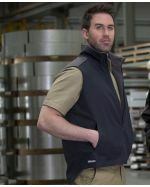 We stock a huge range of cosy garments with clean lines and classic colours that will ensure your corporate team, organisation, sports, or community group will stay looking sharp during the coldest months of the year. 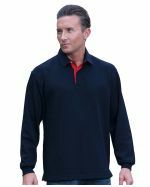 Our jumpers range from the simple to the fancy, but they are all warm and comfortable, and any one of them would look good emblazoned with your logo. 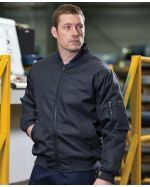 Jumpers have a large branding area and we will print or embroider them on the front, back or both sides. Made of breathable wool or a warming fleece, branded jumpers are just what you need to keep your customers thinking warm thoughts about your business or brand. 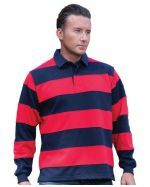 Custom sweaters and jumpers are just what you need for school uniforms, winter sporting teams, outdoor staff or just promotional sales items for the months when t-shirt sales are slow. Custom sweaters and jumpers are a great way to keep your brand visible in the winter months when branded T-shirts are being covered up. We deliver embroidered jumpers to all states and territories of Australia. 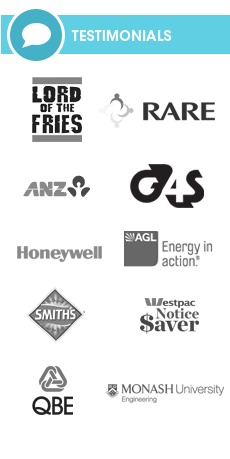 We service all regional and metro locations including Melbourne, Sydney, Brisbane, Darwin, Canberra, Hobart, Adelaide and Perth. 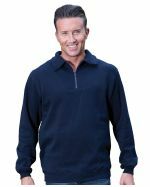 For more information, a quote or advice on how best to brand your sweater or jumper just contact our professional sales team here at Promotional Items. Why Use a Promotional Sweater? Promotional sweaters and jumpers are excellent marketing items because they serve a purpose, ensuring recipients are likely to use them once they have them on hand. Products without a defined purpose, such as a jumper, can often struggle to find everyday use. 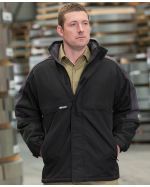 Because everyone gets cold from time to time, promotional jumpers have a ready use regardless of your industry. 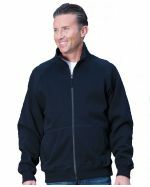 Best of all, promotional garments such as jumpers and sweaters feature very large branding areas to get your message out and visible. When you combine this large decoration area with functionality, it just makes sense to user jumpers to promote your organisation or campaign. Where to Use Branded Jumpers? Custom pullovers help boost brand visibility because they are an outer layer of clothing. Unlike shirts or tees, a jumper or sweater isn't going to get covered up by another layer of clothing. 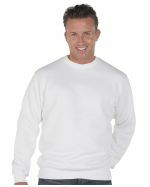 This means your logo is boldly on display at all times when the wearer has the sweater on. Sweaters are also cost effective and great value for money, meaning you don't have to break the bank to launch a successful branded outerwear campaign. They also boost team morale when handed out to university, school, or social sports clubs. 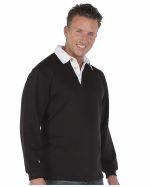 When it comes to warm promotional clothing, sweaters are popular with our clientele for a reason!